Carlos Ivan Molina’s first NYC exhibition includes images of individuals who have inspired this artist to honor political/historical heroes of his beloved Colombia as well as those who have brought joy, music and mirth to his life. Molina’s use of vibrant colors in different renditions, explode before the viewer and present the challenge to decide which is the favorite?. He modernizes the historical and celebrates the pop. He plays with his icons while holding a serious conversation with them concerning the present state of affairs here in the U.S. and Colombia. He lovingly embraces his icons and projects a wistful attitude in the selection of their colors. Viewed thoughtfully, you will agree that it is “ICONtastic”! 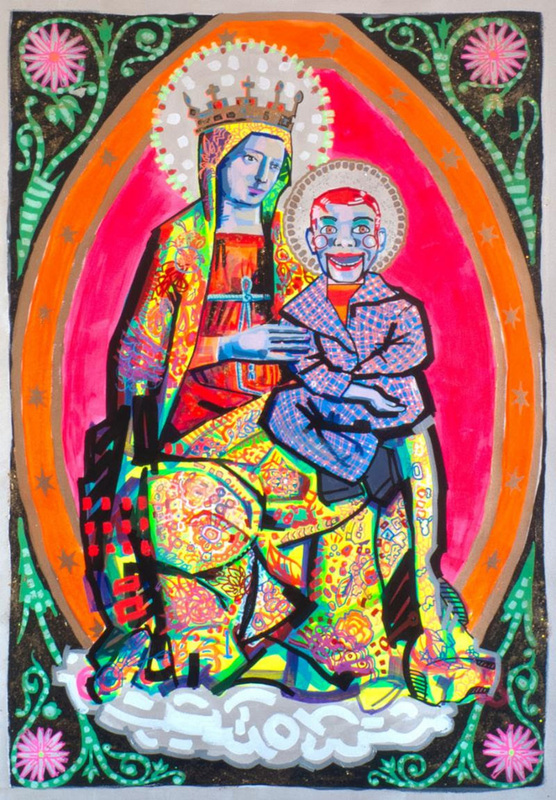 Carlos Molina: ICONTASTIC will be on view from September 21 through October 20, 2018, with Opening Reception on Friday, September 21 from 6-9pm. Save the Date for Panel Discussion on Saturday, October 20 at 2:30pm. Taller Boricua Gallery is located at the Julia De Burgos Latino Arts Center, 1680 Lexington Avenue at 106th Street.